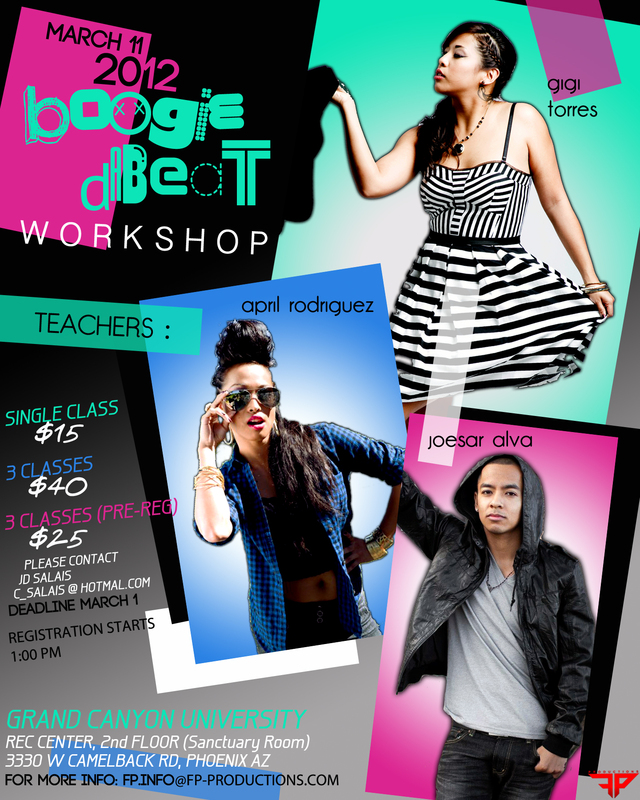 BoogieDaBeat (Boogie-Da-Beat)is a weekend long event aimed to benefit and inspire the Arizona community through dance! 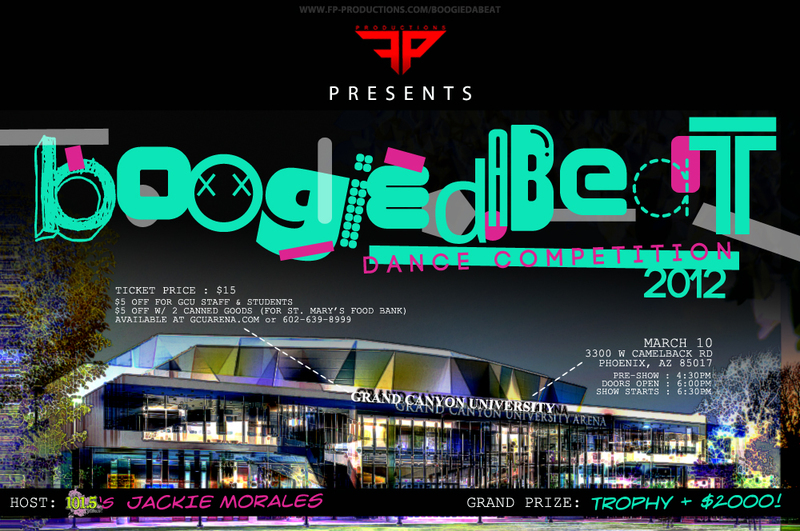 We understand the power of dance as an art, what it encompasses, and we intend to use it in a positive way. By bringing well known dance teams from out of state and teaming up with well established dance crews here in the valley, we are determined to showcase and give recognition to the talent we believe the Arizona dance scene has. Not only catering to the Hip-Hop and dance crowd, we also target youth and parents to present the importance of dance in our community.